I am currently a senior studying for my degree in biology with an ecology and conservation emphasis. I grew up here in Green Bay, but I have lived many other places before coming back home to finally get my degree. I studied a few different things throughout my college career, and after doing an internship in Oregon through The SCA, I realized that I could study what I love for the rest of my life. I’m very grateful for the path my life has taken. I have preferred the outdoors to the indoors my whole life. I especially enjoy camping, fishing, hiking, tending to my garden, and I like to just take it all in and observe in a state of wonder. There is so much to learn and to continuously become amazed by. 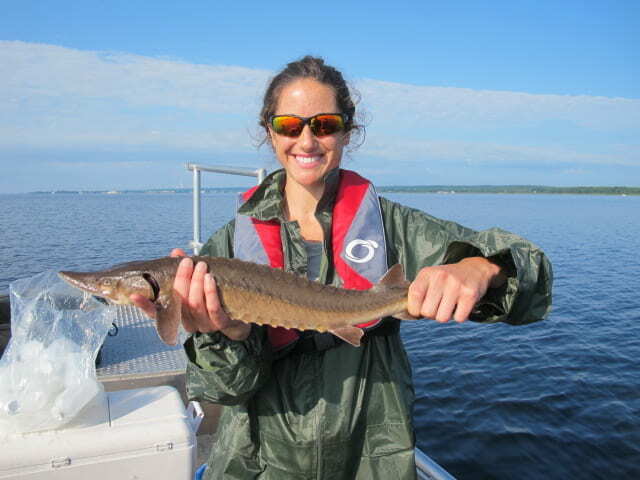 This summer, I am involved in a project with a researcher through the Shedd Aquarium that focuses on tracking migratory Northern Pike populations through specific Green Bay area waterways. I am also helping other graduate students with their fieldwork and lab work when need be. These experiences and the knowledge & awareness I am gaining are so beneficial. I look forward to completing my undergraduate degree here and eventually continuing on to get my masters degree.